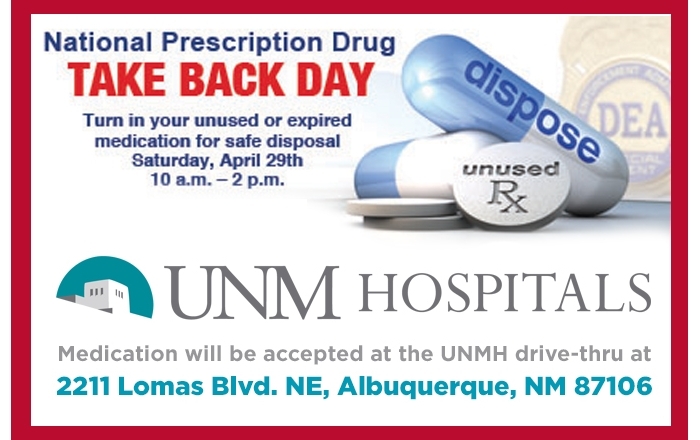 UNM students, staff and faculty are encouraged to turn in unused or expired prescription medication for safe disposal Saturday, April 29, 10 a.m.-2 p.m., at the UNM Hospital drive-thru entrance, 2211 Lomas Blvd. NE (just east of footbridge over Lomas). National Prescription Drug Take Back Day provides a safe, convenient and responsible means of disposing of prescription drugs, while also educating the general public about medications and the potential for abuse. 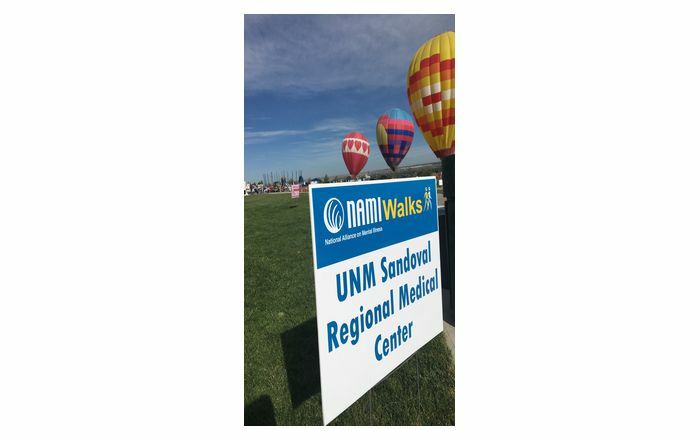 Drug disposal is an anonymous process and a collector may not force anyone to provide any personal information about themselves, their prescription or their physician. In order to protect personally identifiable information, the U.S. Drug Enforcement Agency encourages persons not to place prescription bottles in collection receptacles or mail-back packages. 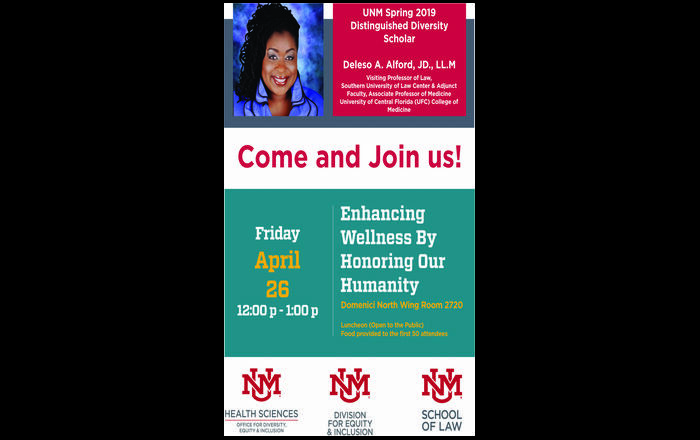 Persons may not dispose of illicit drugs (schedule I controlled substances, such as marijuana, heroin and LSD) that they do not legally possess. This also includes schedules II-V controlled substances that are illegally obtained and possessed.